Videoslots.com and Leander Games take you to a magical world filled with knights, fire-belching dragons, beautiful princesses and powerful wins! The game is themed around the mighty sword Excalibur, which, according to legend, belonged to British King Arthur. The stories about the king and his great knight date to the 8th century, a mix of reality and legend about a leader who actually existed. In the best-known version of the tale of Excalibur, King Arthur succeeds in pulling the sword out of a rock after countless brave men had tried and failed. Arthur’s feat means he was to be crowned as King of England. In another version of the story, his father gets the sword of the lake's mysterious ruler, Viviane. In anticipation of Arthur becoming an adult, the father places the sword in the stone, until Arthur is old enough to extricate the sword and therefore claim his place on the throne. In the Xcalibur Video Slot, you can revel in the mighty sword’s power whenever it lands as a stacked wild covering the entire reel. The Excalibur symbol is also the wild symbol of the game that can replace other icons to form new winning combinations. Join us on this legendary fantasy adventure! Let's take a closer look at the game's bonuses and features! 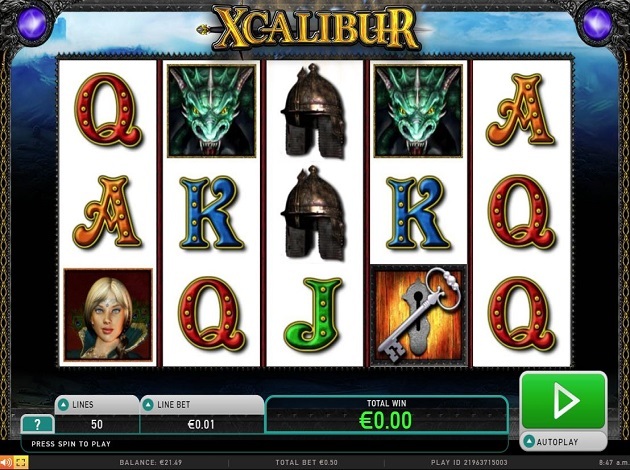 As soon as you open the Xcalibur Video Slot you will be greeted by a cloudy landscape. Princesses, knights and wizards peek at you from the playing area consisting of five reels and three rows. There’s a total of 50 winning paylines, with winning combinations landing from left to right. You can bet on all the paylines from as little as € 0.5, while the maximum bet is of € 150. 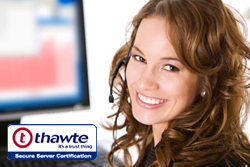 The paylines are optional, meaning you can play with less than 50 paylines, but this will obviously reduce your winning potential. As mentioned earlier, the Xcalibur Video Slot giant wild symbols feature King Arthur's mighty sword. They can show up on the first, third and fifth wheels to replace all the base game symbols and create new winning combinations. But this legendary game offers more than that. The Free Spins feature is activated when at least three Scatters with a wizard appear anywhere on the reels. No matter how many magicians land on the reels, you will always receive 12 Free Spins. The great thing about this Free Spins mode is that all the wins you score during those 12 Free Spins are subject to a 2x multiplier! In addition, there is the possibility of activating a Bonus game that offers secret prizes. When at least three symbols with a key appear on reels 2, 3 and 4 the Key Bonus feature will be triggered. Here, the reels will disappear and you are taken to a completely new screen in front of eight locked doors. Click on the doors to open them and reveal multiplier prizes (up to a maximum of 10x) until you reveal the “Collect” symbol. At least three and maximum five matching symbols are required for a winning combination to be formed. In the payout table you will see that the highest paying symbol is the King himself, followed by Queen Guinevere, then the dragon. The shield and helmet offer medium payouts, while at the bottom of the scale you will find the card symbols from J to A. From the special symbols, on the Scatter offers a payout. The Xcalibur Video Slot has a fast-paced fantasy theme inspired by the classic stories of King Arthur and Magic Sword - that is, Excalibur. It's not hard to understand why this ancient British folk tale resulted in countless movies, TV shows, theatre plays and now also an exciting Video Slot. The graphics in the game are relatively simple but very well presented, with detailed symbols of several main characters from the tale. The wizard Merlin dons a blue hood and whenever his symbol lands on a payline, you can see him wave his huge magic wand. Among the repertoire of animations, the dragons also open their huge nostrils and breathe flaming fire while Excalibur itself is surrounded by supernatural blue shine. The game interface comes with a clear layout, with the control panel placed directly under the reel set. A feature many players choose to use is the Autospin, where you can set the game to spin automatically as you sit back and watch Merlin weave his magic. In Xcalibur Video Slot you get the chance to win with both King Artur and the Wizard Merlin, who are both very willing to help you win decent prizes. With their assistance, you can master Excalibur and all the rich prizes that lie in wait for you. We hope you will enjoy the game and wish you luck! With a rock-solid presence both on the national AWP market and casino market, both national and international, this is a company to watch closely. Magic Dreams also offers a full deal service for its clients and customers, going from the entire manufacturing process, to the real manufacturing of the actual cabinets – basically, from the graphics development to the assembly and testing, all the way to the sale and customer support. The whole deal is done, manufactured, and distributed completely in-house, which is rare in today’s modern gaming industry. Three words describe the mission of Magic Dreams – efficiency, flexibility, and dynamism, and through this, the company aims to create solely innovative and turn-key solutions. And Magic Dreams certainly managed in reaching its goals, offering top-notch quality games which attract players with their crystal clear graphics, entertaining themes, and custom-made soundtracks. When it comes to the games by Magic Dreams, the long and vast experience in the industry has guaranteed the company’s reliability. The games are what matters most to Magic Dreams, and as it goes via Quickfire, the performance standard is for high-end and player friendly games – but the standard also goes for fairness, making sure all games are tested and evaluated thoroughly before each launch.